The super strong 7 foot racket strap is 1 inch. It has a working load limit of 800 pounds along with a breaking strength of 2,400 pounds. It comes with an S-hooks and stitched loops. 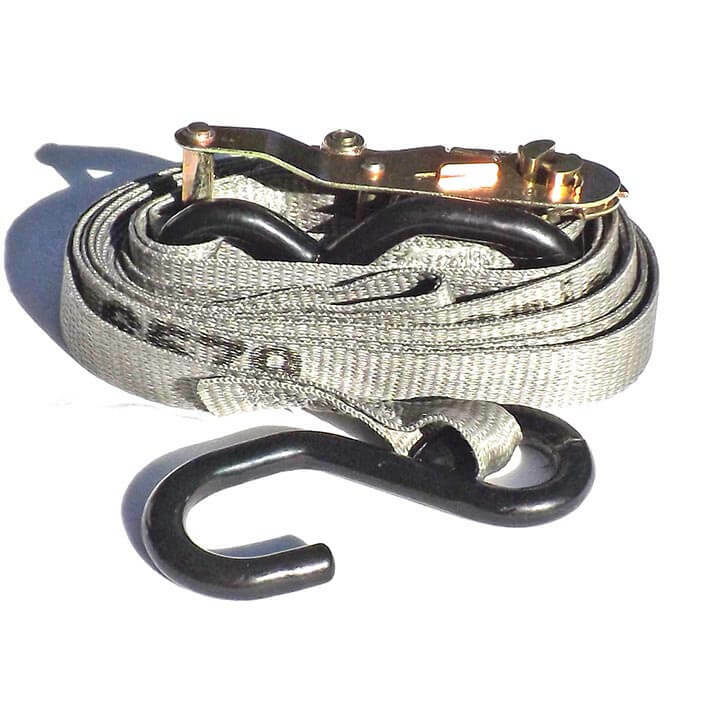 Our high-quality, heavy-duty rachet-controlled tie down strap is ideal for securing tarps on your project.